My pictures do not do justice to the depth and opalescence of the pearl gray color. With only 30 of these made (per color? 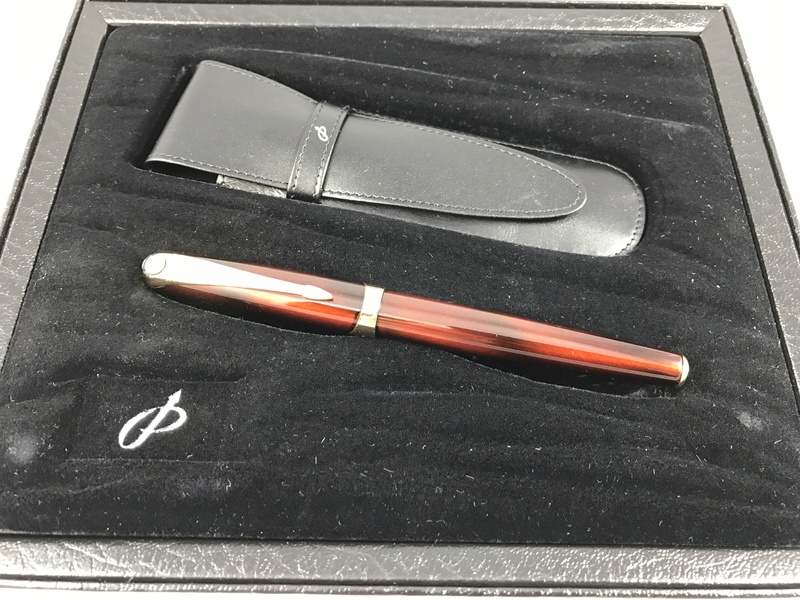 ), this pen is truly a limited edition. This pen is number 26/30. Bet you don’t see another one of these too soon! Made by Visconti and sold by Ashford in 2000 and 2001. This is the earliest version of the Pericle produced from 1994 to 2001. 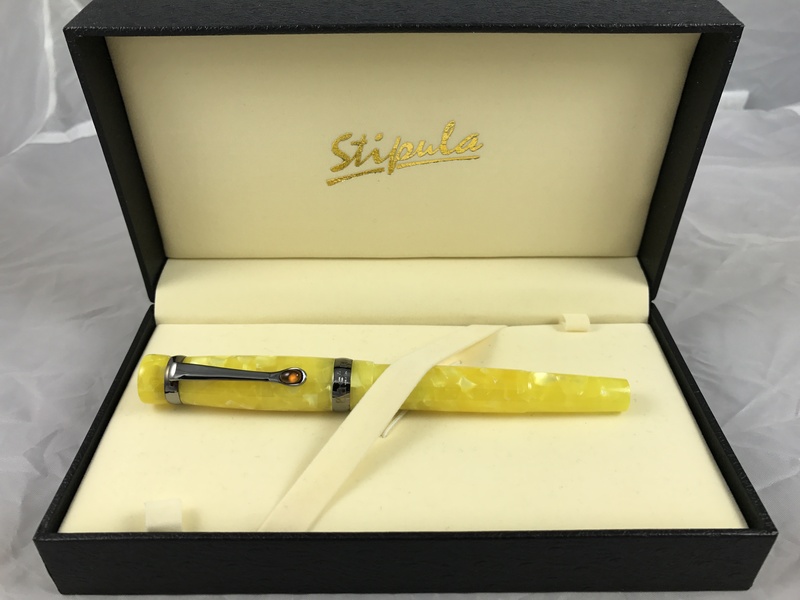 New in Box Visconti Monte Carlo twist action ballpoint pen in Mandarin Yellow bakelite.